The new multi-million rand Tugela Ferry Mall and Jozini Shopping Centre in rural KwaZulu-Natal has been trading very well since opening and both have had an excellent festive season. Even with the sixth highest number of shopping centres of any country in the world, there are still huge opportunities for more retail centre development in South Africa. The multi-billion rand Rainbow Junction mixed-use property megaproject, anchored by a new R2.5 billion 94,000sqm super-regional shopping centre, is getting unprecedented attention from investors and major developers wanting to co-develop or secure a stake in the groundbreaking project just 6km north of the Pretoria CBD. The much-anticipated R2bn Baywest Mall in Port Elizabeth opens Thursday, 21 May 2015, and when it does it it’s going to knock the socks off locals and visitors alike. 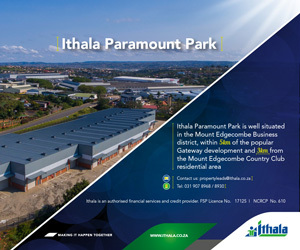 The multi-million rand Tugela Ferry Mall opened its doors to the local community in KwaZulu-Natal’s northern interior with several thousand excited shoppers and visitors descending on the town’s very first shopping mall. Five key retail property trends for 2015. The newly expanded Paledi Mall, will offer more quality retail variety when it opens on October 30, 2014. Jozini Mall, the new 18,220sqm community shopping centre in North-Eastern KwaZulu-Natal, is now fully let and will open on Thursday, 24th October 2013.